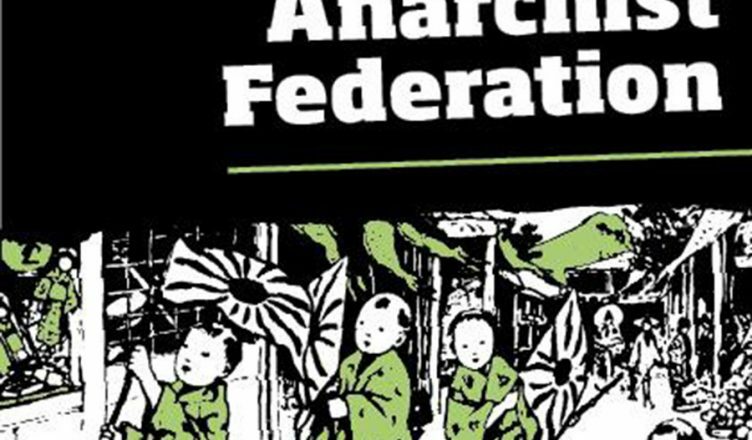 Get a free PDF download of the ace pamphlet Against Nationalism published by the Anarchist Federation. This pamphlet has its origins in a particular time and place, with the impetus behind it coming from the Israeli state’s military campaign in the Gaza strip in late 2008 and early 2009. As the record of atrocities and the death toll mounted, coming to a final stop at around 1,500 dead, large protests took place around the world, with a significant protest movement developing in Britain. This movement took the form of regular street protests in cities, a wave of 28 university occupations around the country and occasional attacks against companies supposedly implicated in the war. There were also, depressingly, actions with clear anti-Semitic overtones. However, we were unimpressed by the way in which support for the ‘Palestinian resistance’ – in other words Hamas, Islamic Jihad, Al-Aqsa Martyrs brigade and the other proto-state forces in the region – became mixed in with the legitimate revulsion felt as the bombs and shells fell onto the heads of ordinary Gazans. These groups – which called on ordinary Palestinians to ‘martyr’ themselves for the nation – have a clear history of repressing workers’ struggles at gunpoint, oppressing women, gays and lesbians, and spreading the virulently reactionary doctrines of nationalism and Islamism. As the war ground on, they showed their true colours by attempting to indiscriminately kill Israelis, settling scores with their rivals through summary executions, and making political capital out of refugees by preventing them from accessing medical aid over the border. As ordinary Palestinians fled in droves, ignoring the calls from militant groups and their Western cheerleaders to throw themselves upon the pyre and join the ‘resistance’, the true face of that ‘resistance’ became apparent. The full text is also available on Libcom.org.